A homeowner involved in a legal dispute with a Scottish local authority has won his appeal after arguing that the council acted beyond its powers in imposing a condition attached to the award of grant assistance, which required property owners to pay their share of the cost of repairs to their tenement by the time the final account for the works was issued or be liable for the full costs. Judges in the Inner House of the Court of Session allowed an appeal by Masroor Hussain, who argued that Glasgow City Council, in imposing a “pre-payment condition” as a term of grant assistance, acted “ultra vires” of its powers in terms of Part 2 of the Housing (Scotland) Act 2006. Lord Brodie, Lord Malcolm and Lord Glennie (pictured) heard that Mr Masroor co-owned a flat in Govanhill, Glasgow, with his wife. Mr Masroor, together with the other owners of the flats, submitted a proposed voluntary scheme of repairs to the local authority in March 2012, but the council decided it was not suitable and instructed repairs through a statutory contract. However, the council advised the flat owners that it would be prepared to offer grant assistance for the cost of the repairs. Mr Masroo qualified for the means-tested 75% grant, which was approved in November 2012, subject to the condition that failure by to pay his 25% share of the cost of repairs by the time the final account was agreed would result in the grant being removed and he would be liable for the full share of the costs of the repairs. A letter from the council advising him of the likely costs stated that his contribution would be £15,884.89, but following the completion of the works the final account issued by the contractors in May 2015 stated that his contribution was £21,360.89. Mr Masroor wrote to the council saying he was unable to pay his share, but the local authority refused his request for time to pay and imposed a deadline, warning that failure to pay the contribution by that date would result in him becoming be liable for his full share of the cost amounting to £84,923.56. As Mr Masroor had not met the condition of the grant offer, the grant was withdrawn and he was liable for his full share of the works, but he sought to appeal the demand for full payment. He lodged a summary application at Glasgow Sheriff Court, which stated that he intended to pay his share of the costs by instalments of £150 per month, but the application was sisted pending the outcome of his petition for judicial review. Mr Masroor’s legal challenge was refused by the Lord Ordinary, but he appealed against that decision. 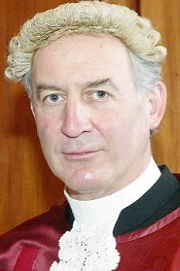 For the petitioner solicitor advocate Mike Dailly argued that there was nothing in Part 2 of the 2006 Act relating to the provision of grants which allowed the council to impose a “pre-payment condition” as a condition of a grant, failing compliance with which the grant would be revoked. Such a condition was “contrary to the policy objective” of part 2 and was not mentioned in the council’s policy statement on assistance. It was argued that as the council had made a decision to award the petitioner a 75% grant for the cost of repairs, it could not be withdrawn on the basis of the imposition of a condition which was ultra vires. On behalf of the council, Gavin MacColl QC submitted that the pre-payment condition of the grant was intra vires, being permitted in terms of sections 74(4) and 81(1)(d) of the Act, and that it was imposed for a relating to Part of the Act - to encourage people to pay their share of the cost of repairs. However, the appeal judges ruled that the pre-condition did not fairly or reasonably relate to the grant and that it “goes well beyond what is legitimate”. “The grant itself, and the threat to withhold it if the non-grant part of the cost is not paid in full and on time, is being used as a lever, a stick, to encourage payment by the owner of the part of the repair cost which he already is under an obligation to pay. This is not a condition which is attached to the grant for the purposes of the grant – to make sure that it is properly applied, that the work is carried out satisfactorily, or whatever.